The country though scored its lowest in the entrepreneurship category, a survey reveals. TOURIST HOTSPOT. 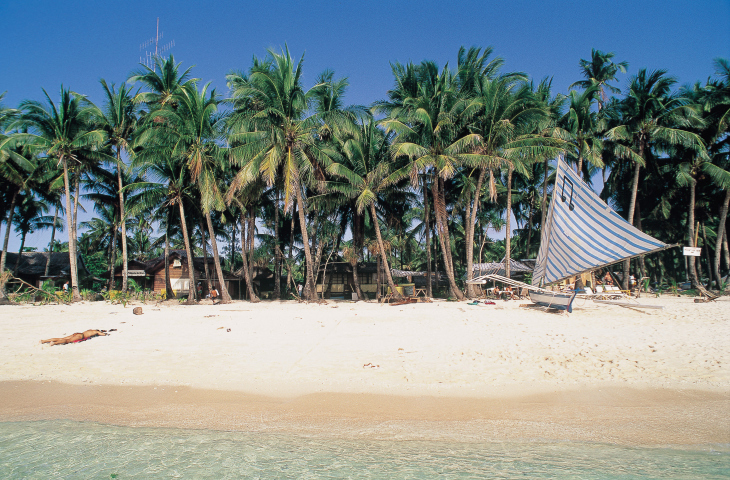 The survey described the Philippines as “the land of beautiful beaches and abundant biodiversity.” Photo from Thinkstock. MANILA, Philippines – The Philippines is the 33rd best country to live in, attributed to its business-friendly environment for foreign investors and its robust tourism, according to the survey moderated by United States News & World Report. The survey covering 60 countries was released January 20 (done with BAV Consulting and the Wharton School of the University of Pennsylvania), showed that Germany, Canada, the United Kingdom, the United States, and Sweden as the top “best countries” to live in. Among the factors the survey covered included the country’s openness in terms of doing business, with an attribute for the “most market-oriented countries for capitalists.” The Philippines ranked 16th with an overall score of 6.1 in this category, mostly attributed to “cheap manufacturing costs,” which scored 9.4. Under the “open for business” category, the Philippines scored 6.6 in “corrupt” attribute; 3.4 in favorable tax environment; 1.5 for bureaucratic; and 0.4 for transparent government practices. Among its ASEAN (Association of Southeast Asian) counterparts, the Philippines ranked 4th in this category, only next to Malaysia, which is at 14th place. The country’s second highest category could be thanked for the “It’s more fun in the Philippines” campaign as the country ranked 17th in the “Adventure” category, thanks to its “scenic” views which got a score of 5.7. The archipelago also ranked second among its ASEAN countries in the same category, only next to Thailand which is at the 4th place. The country though slumped in “entrepreneurship”or the category championing citizens with a “startup mentality,” thus placing 33rd with an overall score of 1. Germany, Japan, the United States, the United Kingdom, and Canada topped the entrepreneurship category – the nations which spent an average of 3% of its gross domestic product (GDP) on research and development. The results of the survey, answered by 16,000 individuals across the globe, were divided into nine categories: Adventure, Citizenship, Entrepreneurship, Heritage, Influence, Open for business, Power and Quality of life. A special section called Movers was derived from a research-based metric from BAV that is predictive of a country's future GDP growth. For the “movers” and “quality of life” categories, the Philippines ranked 23rd and 27th respectively for “affordable” goods in the local market. The country had a modest ranking on ”citizenship” and “cultural influence” categories at 38th, which triumphed a nation’s social capital and contributions to the arts. Meanwhile, the country placed 40th and 50th respectively for “heritage” and “power” categories, which celebrates a nation’s history and influence. Each country had a subtext provided in the report, where the Philippines was described as “the land of beautiful beaches and abundant biodiversity,” while plagued by political instability remains a “resilient” economy. All participating nations in the survey was based on the United Nation’s top 100 countries in terms of GDP and the top 100 countries in terms of foreign direct investment inflows from the World Investment Report, both from 2013. The top 150 countries of the United Nation’s 2014 Human Development Index and the World Bank’s top 100 countries in terms of 2012 international tourist arrivals also served as basis. David Reibstein, professor of marketing at the Wharton School, said the survey provides a “snapshot” of what makes a country good or bad. “The survey may also serve as a roadmap to governments and other institutions on how they might adopt policies that would win them more favorable perceptions,” Reibstein said in the report.